Rev. Dr. Patrick S. Cheng, an associate professor at the Episcopal Divinity School in Cambridge, MA, delivered a lecture last Thursday on his work in the field of queer theology. The lecture, which was attended by several dozen members of the Swarthmore community, was the latest in the College’s Sager Series of talks on LGBTQ topics. 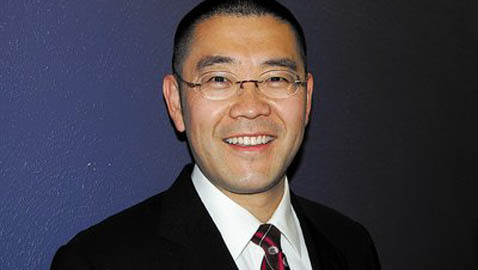 In the lecture — which shared its title with that of Cheng’s upcoming book, Rainbow Theology: Bridging Race, Sexuality, and Spirit — Cheng presented his claim that Christianity is an inherently queer religion and spoke of the ways in which queerness and race relate to the underlying foundations of Christian theology. One of the pillars of Cheng’s talk was the idea of radical love, which he called “love so extreme that it erases or dissolves our existing boundaries.” He drew comparisons between sexual and theological binaries, noting the inherently radical nature of queerness and characterizing Jesus Christ as the ultimate theological boundary-breaker. Cheng also focused on the concept of rainbow theology, which incorporates three theological “rainbow themes.” These themes — multiplicity, middle spaces, and mediation — are prominent in both Christian theology and queer identity, he said. “I think we are seeing history being made,” said Linguistics Professor David Harrison, who introduced Cheng to the audience. Cheng also spoke of the “false binary” between sexuality and race. He shared excerpts from from his own experience as well as from the work of high school student Sabrina Lee, who blogs for The Huffington Post, and a gay Korean-American Christian man whose writings appear in the essay collection Asian American X under the pseudonym Michael Kim. “Some of the descriptions that [Cheng] read off the PowerPoint — they kind of felt like me, like some of the questions I was pondering and the feelings I had about my position,” Oh said. Oh also said he had been struck by Cheng’s professed efforts to communicate his theological ideas to a lay audience. Cheng said that he is trying to bring “this academic, ivory-tower stuff out into the public.” In an email to The Daily Gazette, he wrote, “I believe it’s important for theologians to engage with many different communities, and so I really appreciate having the chance to do so at Swarthmore.” In an earlier interview with The Gazette, he expressed gratitude for opportunities to bring his work beyond a seminary setting. His speaking schedule in the last year along has included Boston College, M.I.T., Wellesley College, and the National Queer Asian Pacific Islander Alliance 2012 Conference in Washington, D.C.
Cheng took a moment to note the pertinence of his talk to Swarthmore’s Quaker legacy, calling Religious Society of Friends founder George Fox “a precursor to queer theology.” Later in the lecture, he lauded the College’s gender-neutral bathrooms as dissolvers of gender-binary boundaries.